Travel Tips For The Holidays It's that time of year — road congestion, delayed flights, and the slow-burning anxiety of heading home for the holidays. Santa ditched the reindeer this year. It's that time of year — road congestion, delayed flights, and the slow-burning anxiety of heading home for the holidays. More than 100 million Americans travel between Saturday and New Year's Day, AAA predicts - a number that has gone up steadily since 2005. 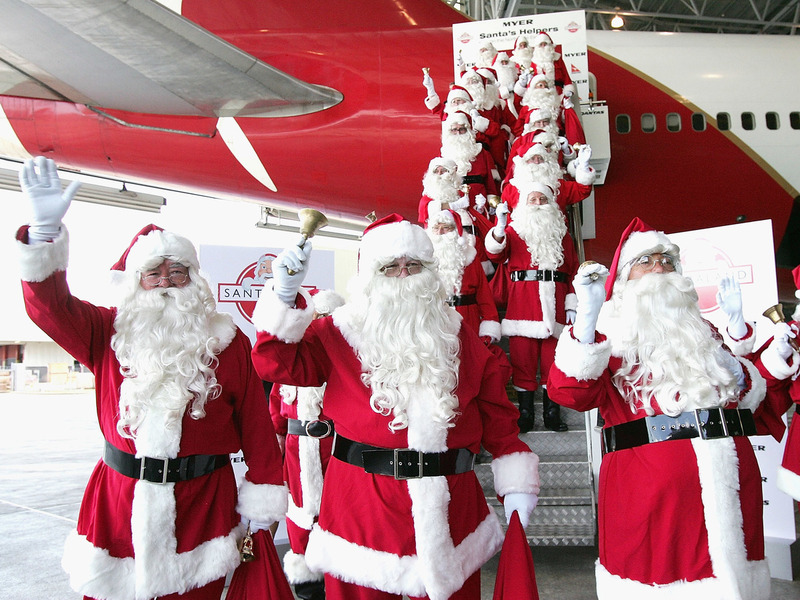 Whether you're driving, flying, or sleighing this year, here are a few things you should know. 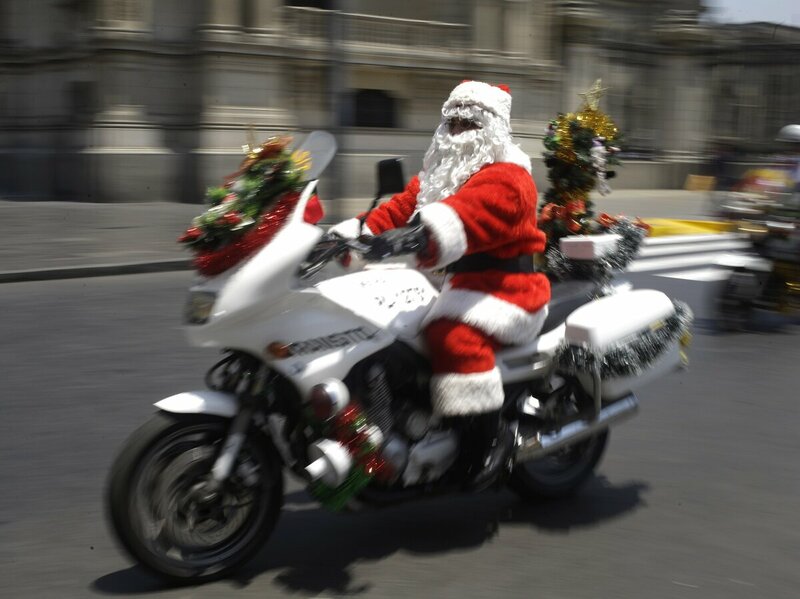 Santa was smart enough to leave after the morning commute this year. If you live in a major city, it's probably going to be bad. The American Automobile Association predicts that drivers in major cities could see traffic times up to three times longer than normal. An unprecedented 107 million Americans are estimated to spend their holidays away from home this year – and 97.4 million of them will hit the roads to get there. Plan your car trips accordingly, and if you live in a major metropolis, try to leave in the early morning or after the morning commute. The National Safety Council estimates that car crashes during the Christmas holiday period (starting on Friday, Dec. 22 and ending on Dec. 25) could lead to 308 deaths and 35,400 serious injuries this year alone — and that's not even counting New Year's. · Buckle up on every trip and in every seating position. Seat belts could save 257 lives between each holiday period. Santa takes advantage of the airport's moving walkway. How else could he reach every kid in the world in one night? Americans avoided 32 million air trips out of sheer frustration last year, costing the U.S. economy over $24 billion. A survey by the U.S. Travel Association found that 60 percent of fliers say airline fees have gotten worse, and 51 percent say the overall cost of flying has gotten worse. The Travel Association survey also found that 47 percent of fliers say airport hassles have gotten worse, while one in four adults "skipped a leisure trip in the past five years due to air travel concerns." Unfortunately for commuters, those people probably just chose to drive instead. No one wants to be in this situation. Airlines for America reports that despite people's frustration with flying, Friday, December 22 and Tuesday, December 26 will be the busiest travel days of the year, with a staggering 2.7 million fliers on both days. That's compared to an average of 2.25 million air passengers per day in 2016. 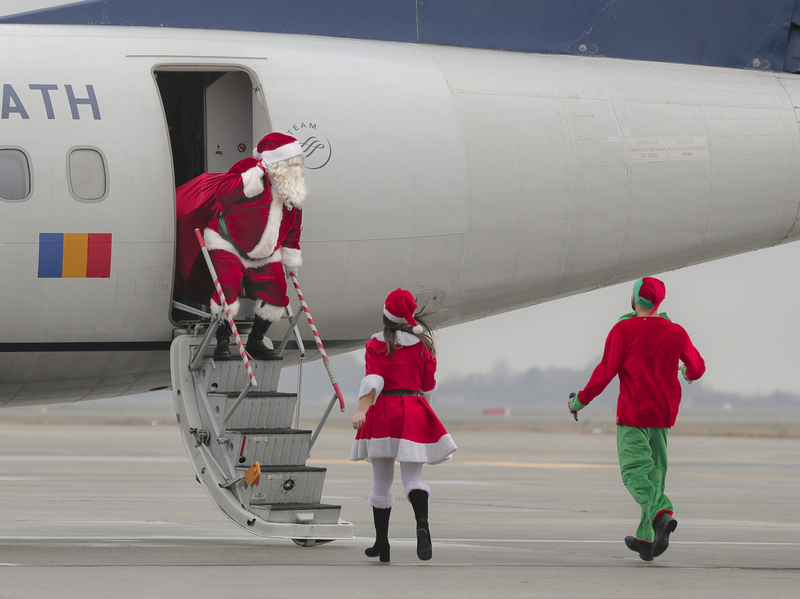 If you're planning to fly on those days, you may want to consider traveling by reindeer or on Santa's sleigh instead. Benjamin Purper is a National Desk intern.